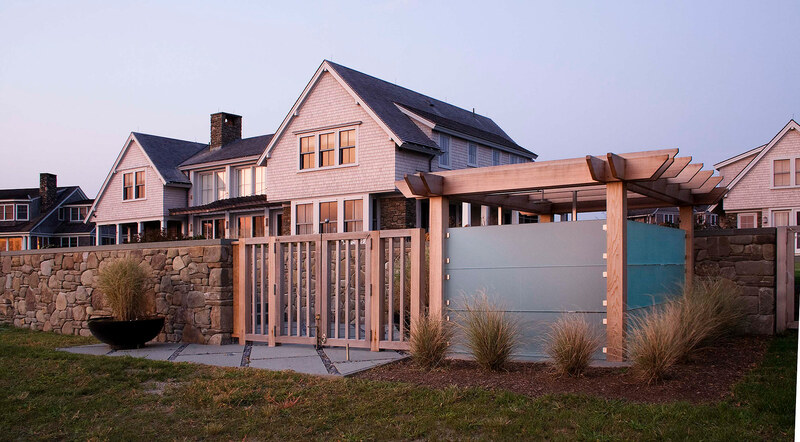 Breaking Waves is a new house and landscape constructed along the southern New England coastline. Located on former pasture land, existing stone walls and ocean views are hallmarks of the landscape. Salty breezes turn to fierce winds in winter storms, creating a harsh environment for plants and materials. Magnificent views of the rocky shoreline and large breaking waves dominate the scenery. 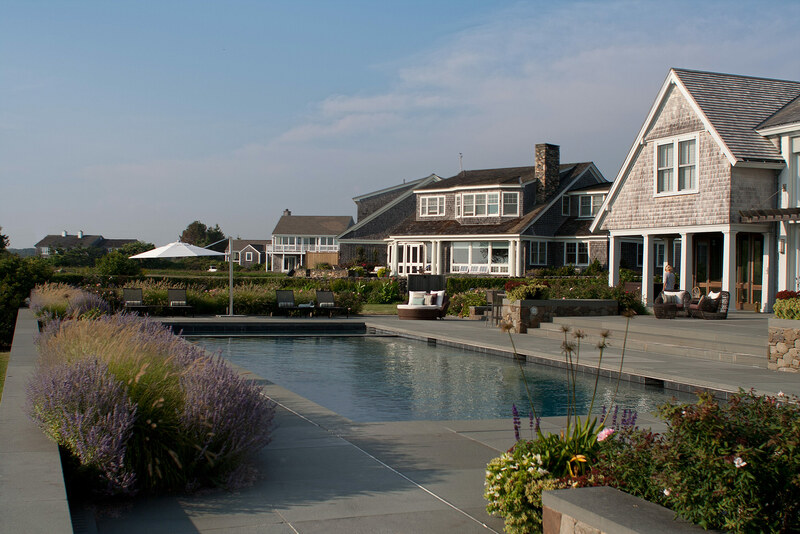 The project goals included a sustainable, open landscape, with a new pool, spa, and play lawns, all with a consciousness of place and neighbors’ viewsheds. Envisioned as a summer home, the family activities are centered outdoors. 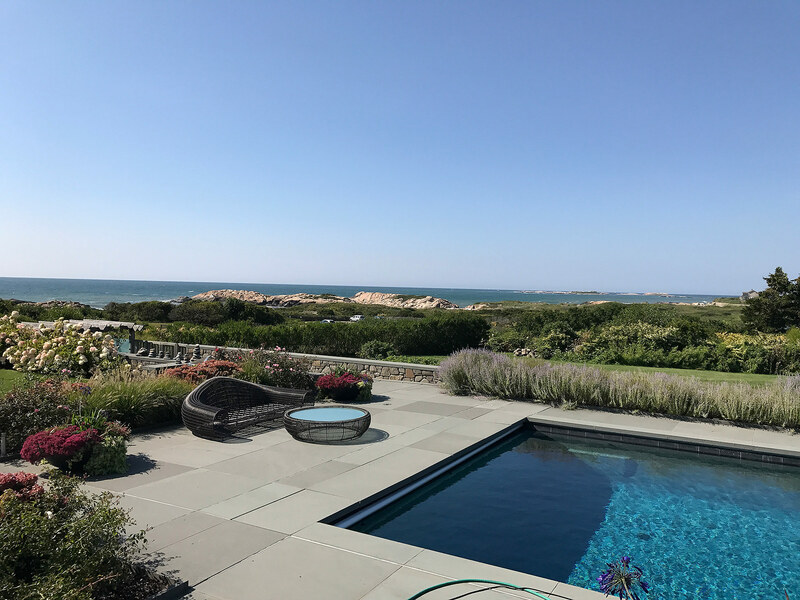 The large pool and spa are sited to visually connect to the ocean beyond. 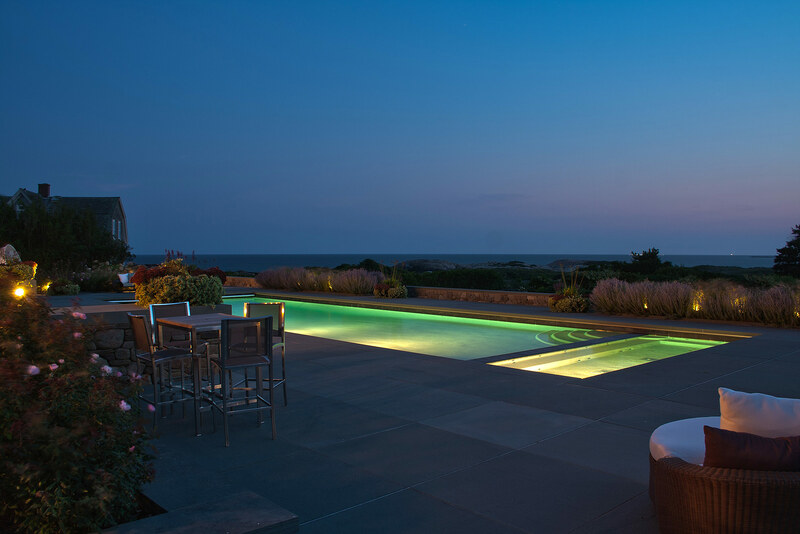 Located on a mezzanine terrace, the pool opens up views from the house and uses stone seat walls as an enclosure. Materials combine a custom fieldstone blend with large slabs of bluestone as pavers and wall caps. 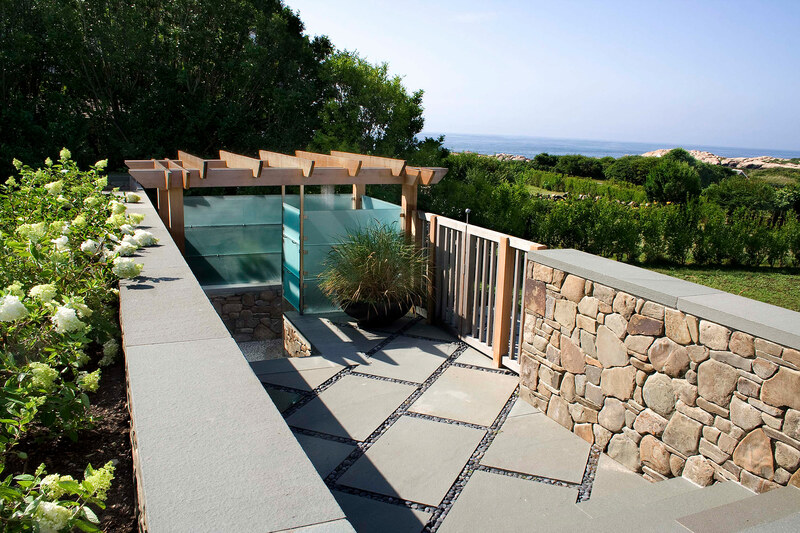 Frosted glass walls and an open wooden pergola enclose the sunken outdoor shower and keep with the theme of transparency to heighten the connection to the natural landscape. Existing farm walls were rebuilt and exposed. 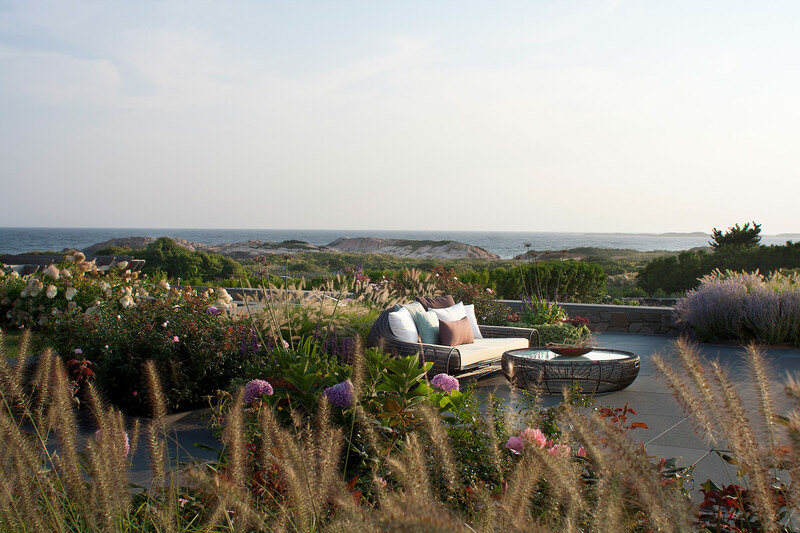 Plantings combine traditional summer flowers with ornamental grasses. The property is bordered by wetlands, and the open lawns contain a complex system of drainage infiltration, septic and wells.